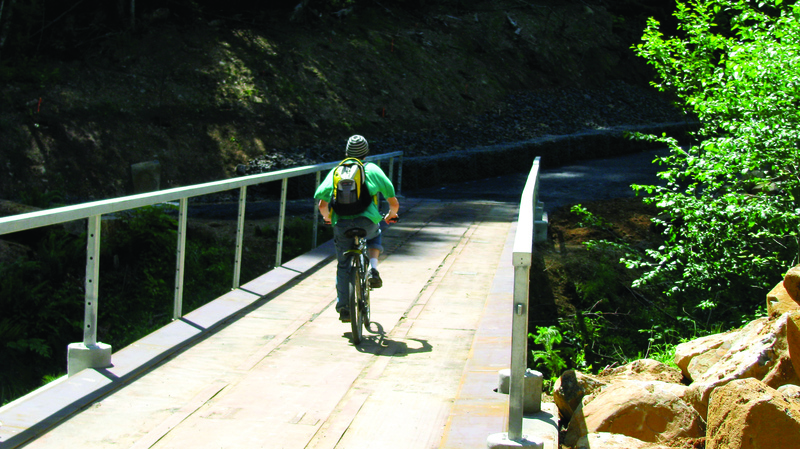 Vernonia Springs gets it’s permit for operation as a private park! Vernonia High track takes 4th in State, breaks state record! Congratulations VHS Track Team! Below is a report from Coach Byron Brown. Vernonia Boys’ Team finishes 4th in State! The 4×100 relay team set a new state record at 43.57—the only team in State 2A competition to run under 44 seconds. Jared Medearis handed off to Steve Burns, who quickly separated from the other runners to give the Loggers a significant lead; Clay Sullivan lengthened it out some more, and Rob Connor finished it off, winning by about 40 meters and setting a new state record, eclipsing the 2011 record set by Central Linn. Clay Sullivan won the high hurdles in a big upset, leading from start to finish. Clay also finished 4th in the 300 Hurdles and 8th in the Long Jump. Rob Connor finished 2nd in the 100 and 5th in the 200 meter dash, competing with a strained hamstring. Francesco Mian placed 8th in the High Jump. The Loggers needed every point as they beat Nestucca by half a point for the 4th place trophy. 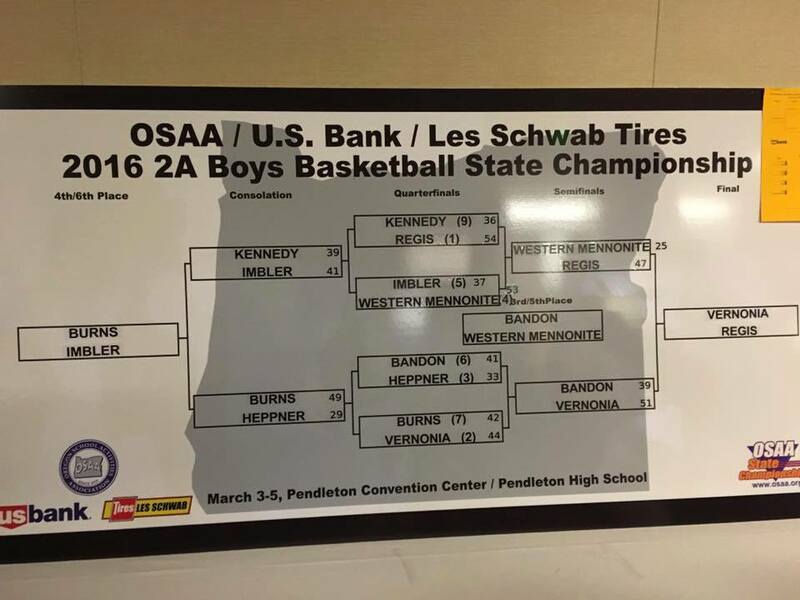 The Vernonia Loggers are headed to the OSAA 2A Boys Basketball State Championship! 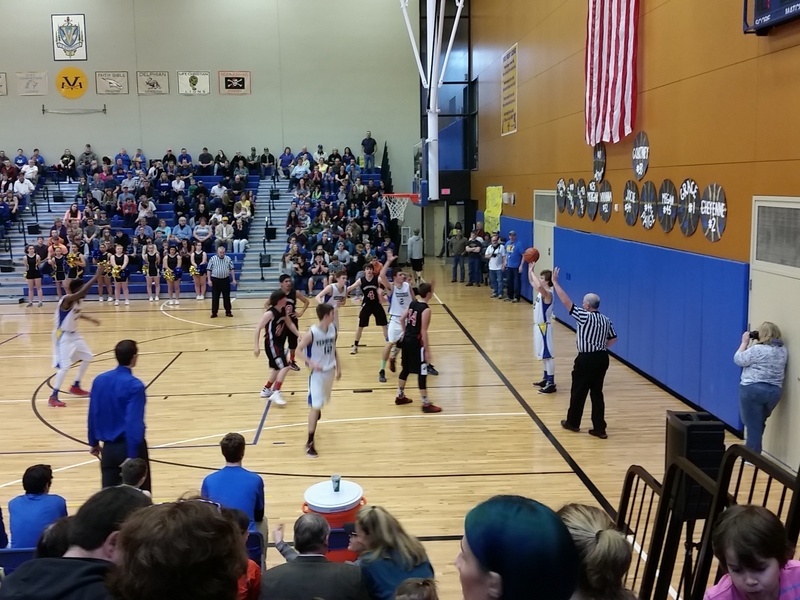 The Loggers and Lady Loggers basketball teams both hosted the Bonanza Antlers in the first round of the OSAA state playoffs on Saturday, February 27, 2016. The Logger boys defeated Bonanza 65-60 to earn a trip to the final eight in Pendleton on March 3-5. The #2 ranked Loggers face #7 Burns at 8:15 pm in the first round on Thursday March 3. The Loggers have now won 25 straight games and have a 25-1 record on the season. 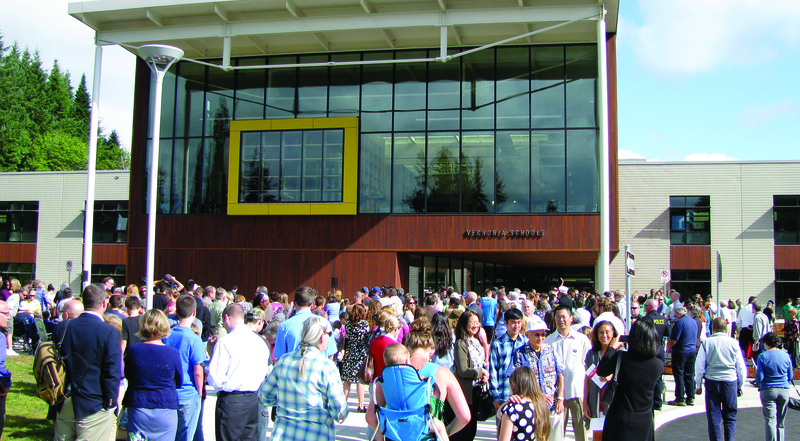 The Loggers won the Northwest League title on February 20 with an 84-78 win over City Christian. The #8 ranked Lady Loggers fell to #9 Bonanza 60-58 in tightly contested match-up earlier in the day at the Vernonia gymnasium. The Lady Loggers finished their season with a 24-3 record that included their fourth straight Northwest League title after they beat Neah-Kah-Nie 54-49 on February 20. Another Flood? We got this. On December 8th, 2015 it rained again. And again. 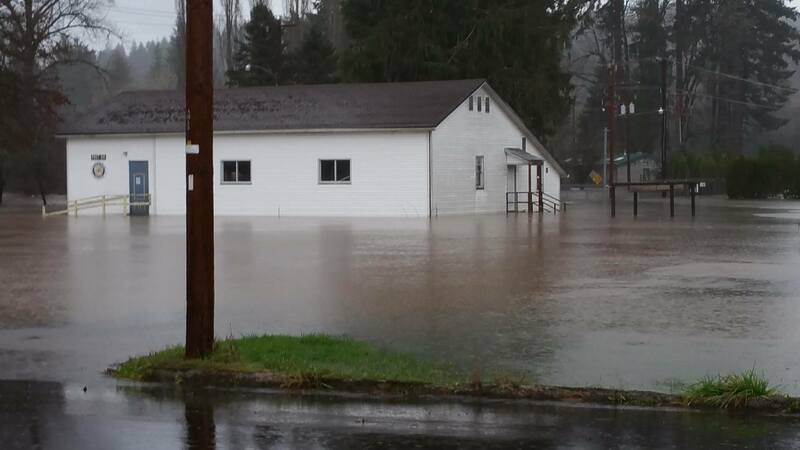 Over the past 2 days the town of Vernonia has seen 6″ of rainfall onto an already waterlogged town. This is certainly bad news, but the experience gained during previous floods means this is no tragedy. All one has to do is look on the various community bulletin boards on Facebook to see what type of person lives in Vernonia. Compassionate, giving, caring. People helping people. 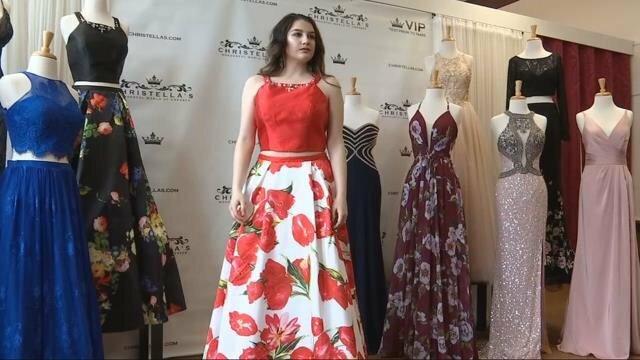 The Red Cross is setting up an evacuation center at the Vernonia High School and the Food Bank has relocated their essential services to that site as well. Homeowners in outlying areas are clearing culverts and posting when streams are over-topping roads. Hundreds of people in town are offering help, shelter, rides, storage, whatever is needed to calm the nerves of people already stressed by the weather and now frightened by the dark. Offers of help are already pouring in from people living outside the area. 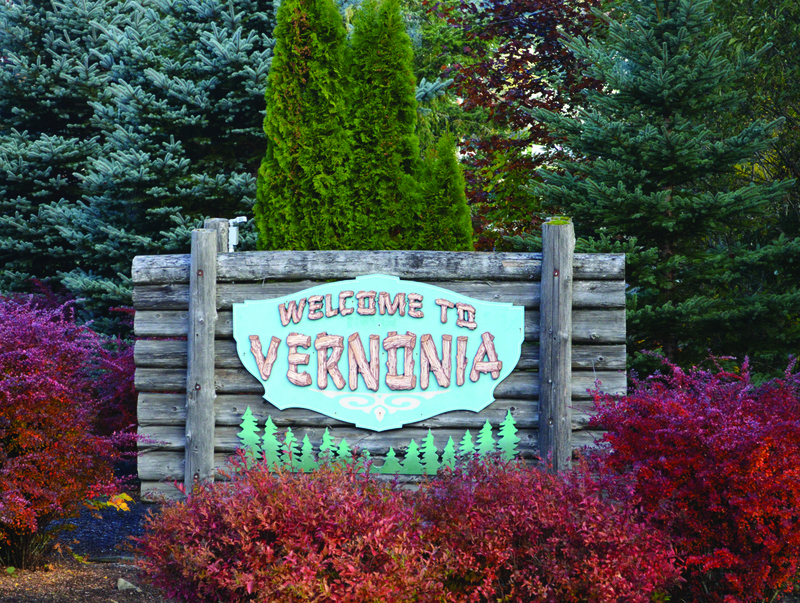 They know why Vernonia is a great place to live, and that their assistance is well placed. If you want to help, please contact the Vernonia Rural Fire Protection Department at 503-429-8252, they would welcome the assistance. May peace and comfort find you today. By Kala Cota, a friend up north.